Why Do I Need A Tile Supply Program? For brands that operate across a multi-unit real estate portfolio, the key to growing and maintaining brand value is delivering a consistently excellent customer experience at each location. A brand’s success in creating this consistently excellent experience can be directly linked to the effective design of its supply chain. For a restaurant brand, it’s the consistent supply of quality ingredients which ensures that menu items taste the same whether served at a free standing drive-thru or an airport food court. 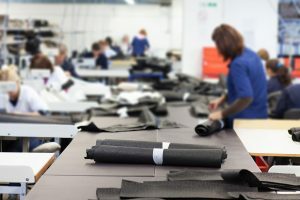 For a clothing retailer, it’s the consistent manufacturing of its garments which ensures customers receive the quality merchandise in stores from Seattle, Washington to Miami, Florida. For an automotive brand, it’s ensuring the consistent manufacturing and assembly of each vehicle which results in a reliable driving experience for each loyal motorist. From hospitality environments, to health and wellness, to convenience stores, the consistency of the customer experience applies not just to the brand’s products and services, but also to the atmosphere of the built environment. 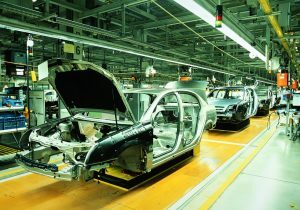 However, unlike the manufacturing of a product where the suppliers in the supply chain remain constant, the construction industry creates unique challenges to the development of a consistent supply chain of materials and labor. The difficulty derives from the fact that each building or space is different. Local real estate, permitting and code issues vary by geography. Each project is typically completed by a different team of consultants, contractors and suppliers. Given the amount of conditions that can vary on each construction project, it is all the more important that brands attempt to control those elements in the construction process that can be standardized. Building materials can often be one of those elements. Creative Materials specializes in the development and implementation of purpose-built supply programs for porcelain, ceramic and glass tile, setting materials and related accessories. Our programs are customized to the needs of our clients. We don’t believe in one size fits all. We understand that each brand has unique needs and requires individualized solutions. Not all programs are created equal. Learn about the other types of tile supply “programs” offered in the market and how our program differs.